It features a centrally located Robatayaki Grill (a Japanese BBQ), Teppanyaki (Hibachi Griddle), sushi counter and a wok station. 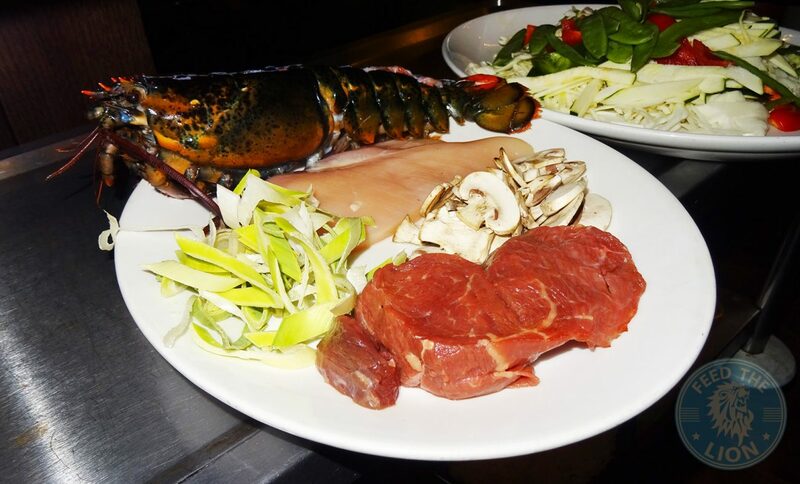 This allows our Chefs to prepare our dishes in full view of all diners. Whether you want to sit directly in front of the Chefs or quietly away, you can still enjoy and watch your food being cooked. 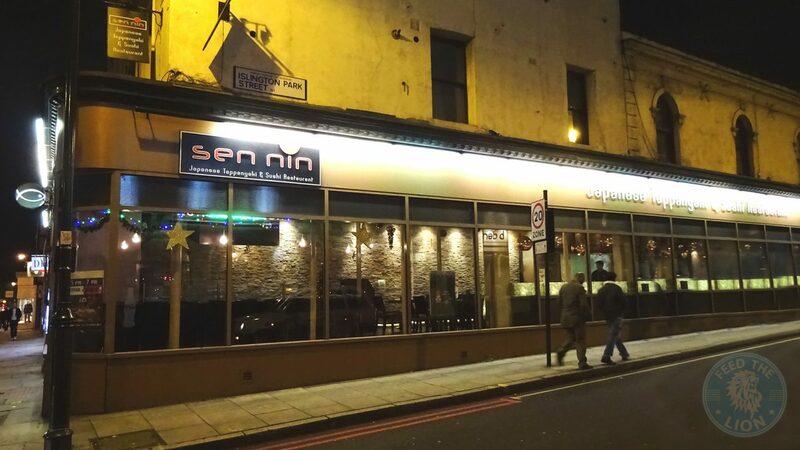 It should be noted from the outset, however, that although Sen Nin is not overtly halal, it does cater for halal diners by carefully sourcing its meat, in this case lamb and chicken, while ensuring that its preparation and cooking is free from cross-contamination with non-halal products. And the person who diligently takes care of this affair – the same gentleman who patiently hosted us for the evening (big thank you!) – is Monzural Haque. He has informed us that halal beef steak can also be made available, but with 3-DAYS PRIOR NOTICE. Serves halal lamb and chicken (in both their branches). 3-days prior notice for halal beef steak (in both their branches). 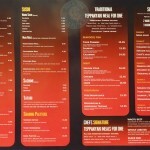 Menus available according to budget. First off, the Japanese Mojito, which was tangy and refreshing with the lime rightly dominating over the subtlety of the mint. And then we had the Sen Nin Cooler which was a mildly sparkling and not-too-watery concoction of tangerine tasting orange (at the bottom) and mango (at the top). Lightly flavoured, but again refreshing and quite pleasant. 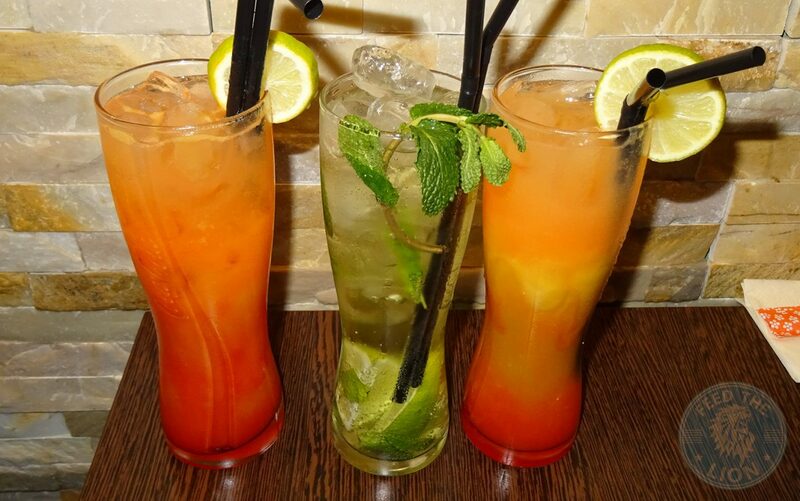 Of the two though, we’d recommend the ultra-refreshing Japanese Mojito all the way. 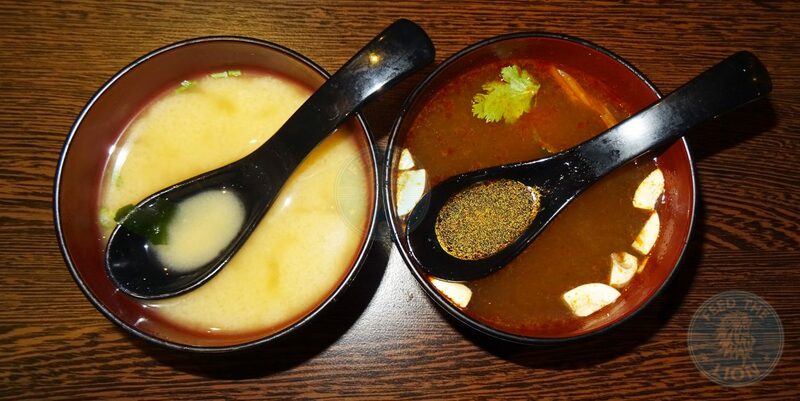 Tom Yum Talay Soup (left), £2.50; Miso Soup (right), £2.25 – Part of the Sen Nin Feast (see menu below), though can be ordered separately. Acquired tastes perhaps? Let’s start with the well known Miso Soup which, after its initial strong hit of sweet and salty bitterness, mellows out into something far milder and comforting with a light salty mushroom type aftertaste. As for the Tom Yum Talay, then although the smell was much to be desired for one Lion, the others described it as fresh, tangy, and with a gentle garlic taste running in the background. 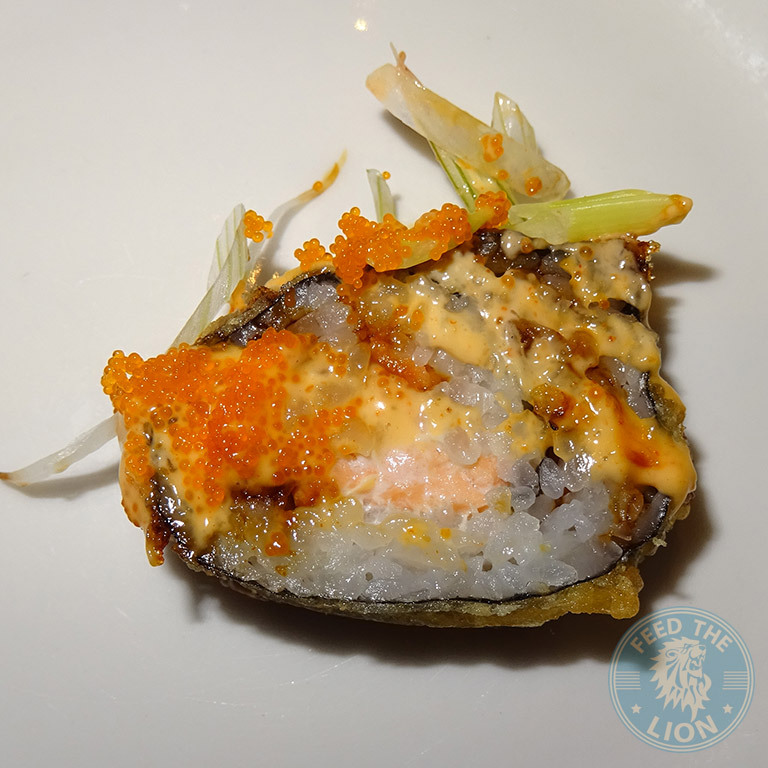 Although this was coated in the traditional seven spice blend, it was very subtly flavoured (and we do mean very subtly flavoured), and served with ponzu sauce – a citrus based dip. Crispy, but also slightly oily and chewy. In all honesty though, wouldn’t say it’s worth the price! Again served with a ponzu sauce dip, these lightly spiced steamed gyozos comprised of a mixture of vegetables wrapped in mouthful sized pancake wraps. A little plain, but enjoyable nonetheless. This was certainly the pièce de résistance of the starters by quite a margin. 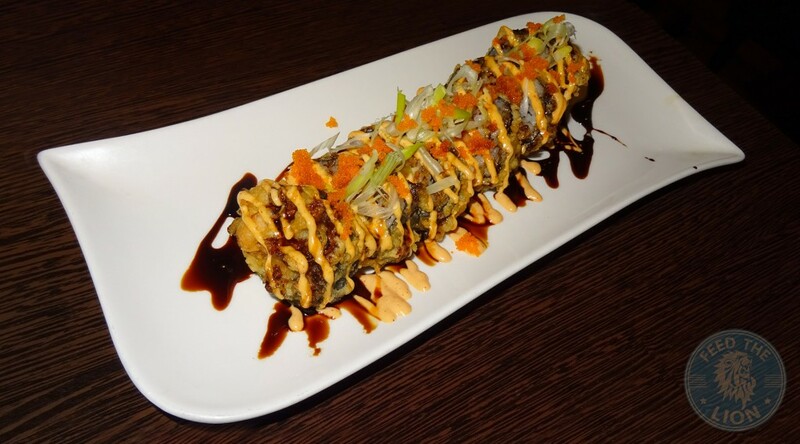 Before attempting to describe the intense flavours of this colourful masterpiece, let’s dispense with the boring breakdown of constituent parts we were able to pick up: sriracha and spicy mayo sauce; dark eel sauce; tobiko caviar, or salmon eggs; nori seaweed, among other things. As to its taste, then this too is as much an assault on the palate is its presentation is to visual senses. With a multiplicity of flavours and textures coming through one after the other, what you have here essentially is a combination of the strong and subtle coming together very well. With the very first mouthful, one is confronted by little explosions of spice going off on the tongue along with what reminded us of a very mild taste of wasabi somewhere therein. And when all is masticated and done, what you’re left with is a lingeringly sharp, though pleasant, tangy aftertaste. A real treat this, and definitely RECOMMENDED! 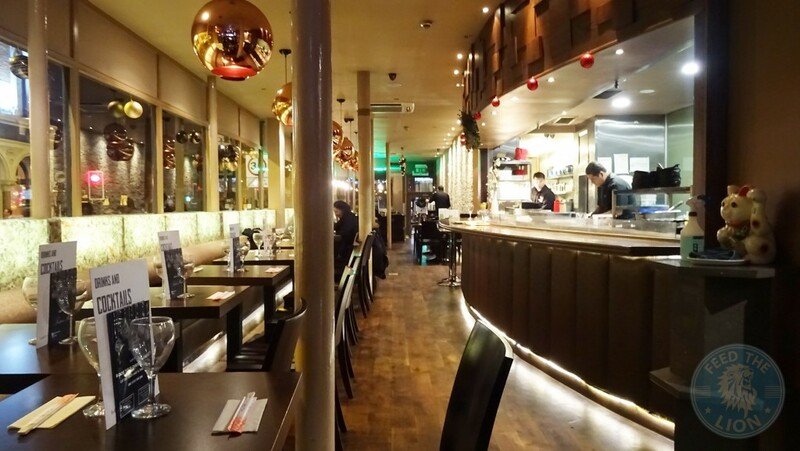 It really does defeat the purpose in visiting a Teppanyaki restaurant, but leaving without having experienced the Teppanyaki cooking experience! 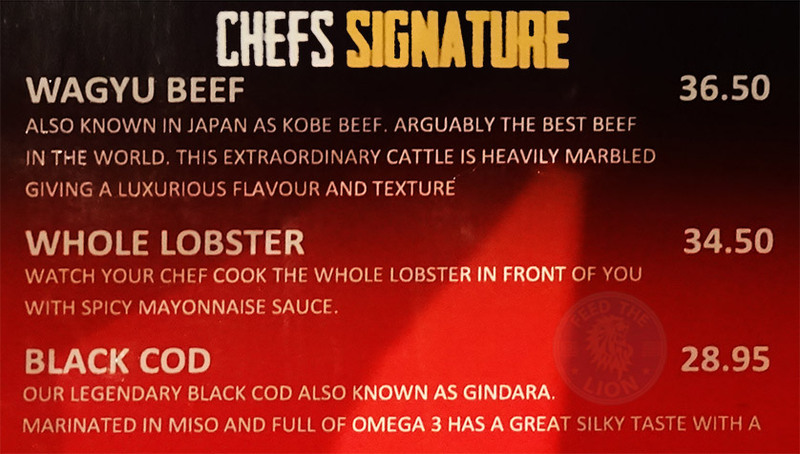 As can be seen, the Chef’s Signature main gives you a choice of either Wagyu beef, whole lobster, or black cod. 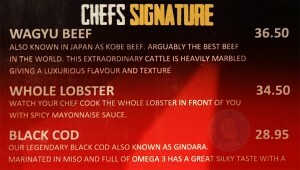 Of these three, however, the Wagyu beef is haram! 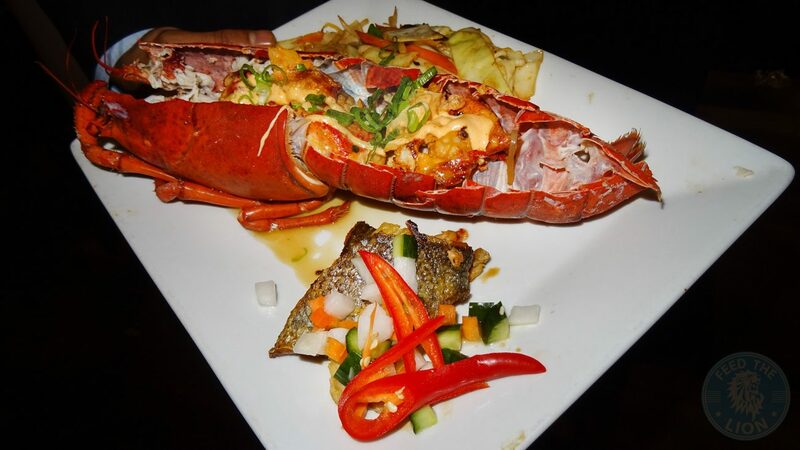 As for the accompaniments, then all meals come with either Miso or Tom Yum Talay soup, along with Hibachi Egg Fried Rice or Steamed Rice & Oriental Hibachi Vegetables. 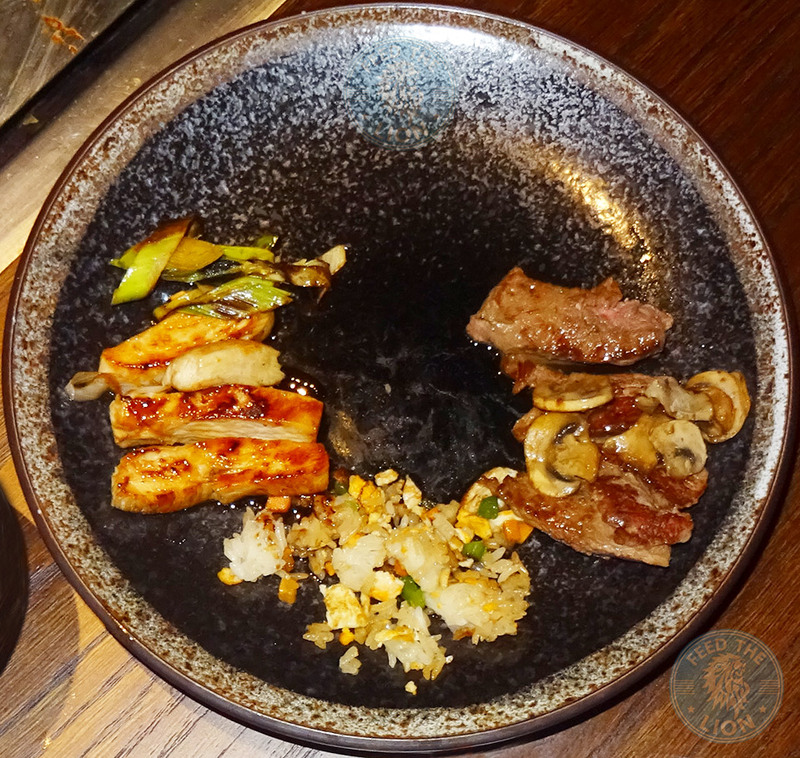 In place of the Wagyu Beef, we were served halal Sirloin Steak along with chicken and lobster, as well as both aforementioned Hibachi rice and vegetables! 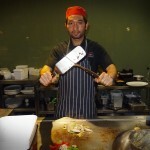 And our Teppanyaki chef for the evening was the wise-cracking juggler of utensils (and eggs), Suresh (below). Kudos to Chef Suresh for a fun filled evening. Sen Nin’s Teppanyaki experience is elevated through entertainment expertly delivered by chefs who use a combination of interactive humour along with the juggling of cutlery and other utensils (empty or otherwise) during a theatrical cooking process that involves lots of fire, clinging and clanging of metal knives and cutters, as well as a huge fire show that’s needed to decontaminate the surface. It really is an experience and a half! The star of the show was without doubt the lobster, cooked as it was to perfection, and presented with a finger-licking creamy and garlicy mayonnaise sauce with enough chilli not to over power the sweet flesh of this gorgeous crustacean. Chicken Teriyaki; Beef; Hibachi Egg Fried Rice, and Oriental Hibachi Vegetables. Similarly, the chicken teriyaki and beef were quite delightful. The former was well cooked – moist while still retaining that springiness so distinct of chicken cooked on high heat, and coated in a mild teriyaki sauce; the latter medium rare, juicy, with a subtle sweet and tangy coating. As for the rice and vegetables, then these were again well cooked, but plain and simple, with the latter remaining nice and crunchy thereby giving texture to the overall meal. 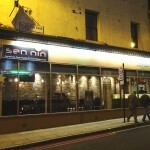 If you're looking for an experience along with quality food, then Sen Nin is really worth visiting. While they don't advertise as being halal, and also serve alcohol and pork, not only is their lamb and chicken halal, but also cooked separately to avoid cross-contamination. 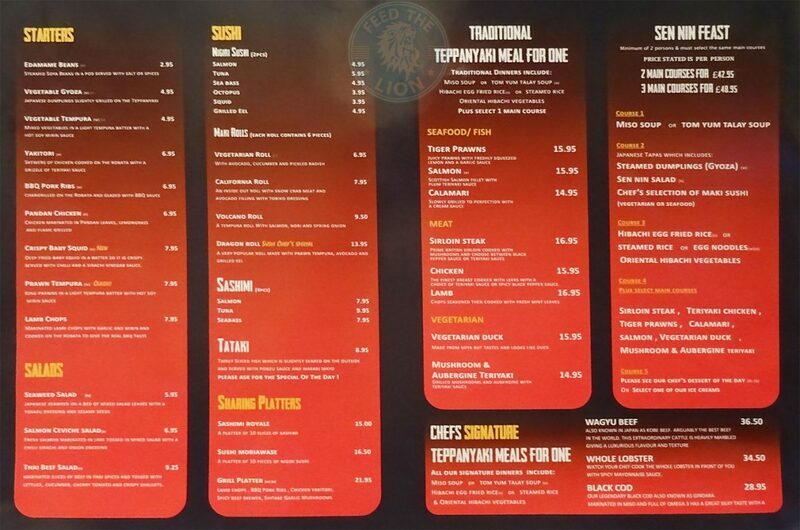 Of course, don't forget to let them know your Muslim dietary requirements before ordering. And if you want beef on the menu, then give them at least 3-days prior notice. Their service seemed to run like clock work too, with everything catered for and in order. 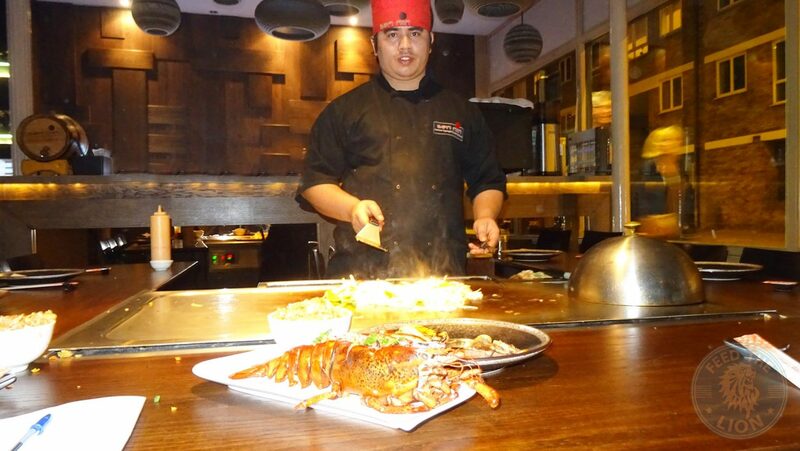 But, of course, if you're going to go and haven't already experienced it, then the Teppanyaki style of cooking at the chef's table is the way to go all the way. Simply a fantastic experience!